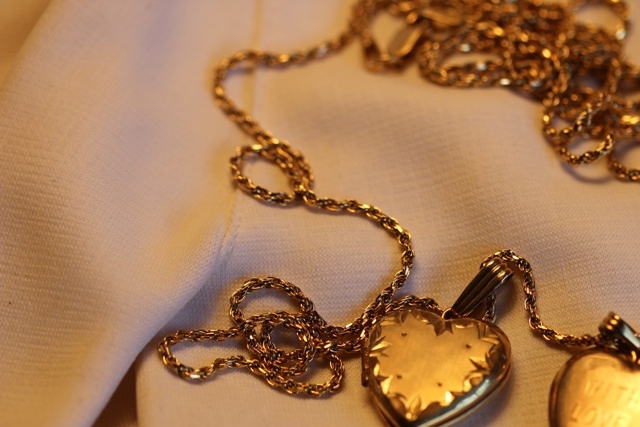 A Glittering Gold chain and a Gold heart from my Sweetheart one Anniversary long ago. 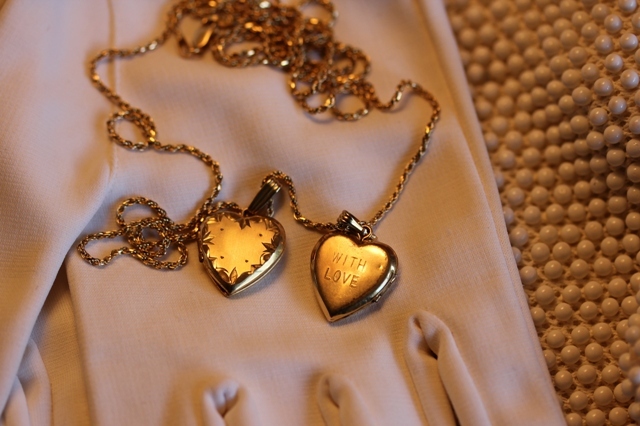 Another Gold heart with the words "With Love" engraved on the back. A delicate vintage handkerchief I found at a yard sale. 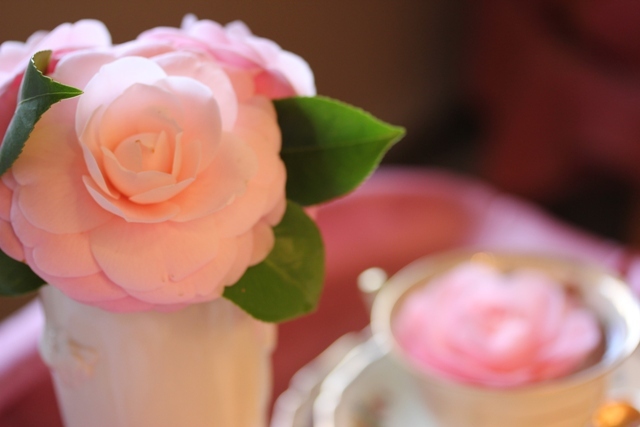 Is the Pink Camellia almost Perfect? 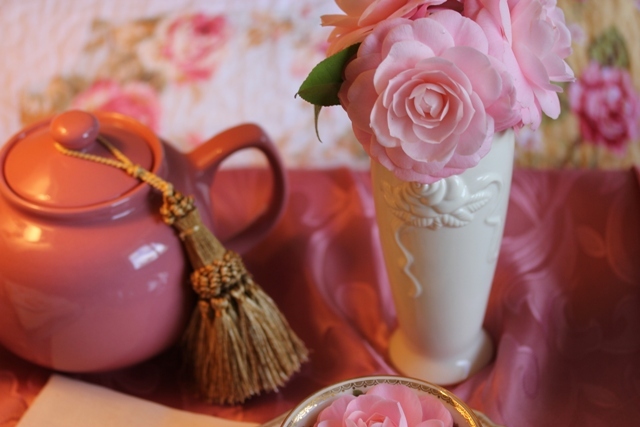 Floating in a vintage tea cup.. 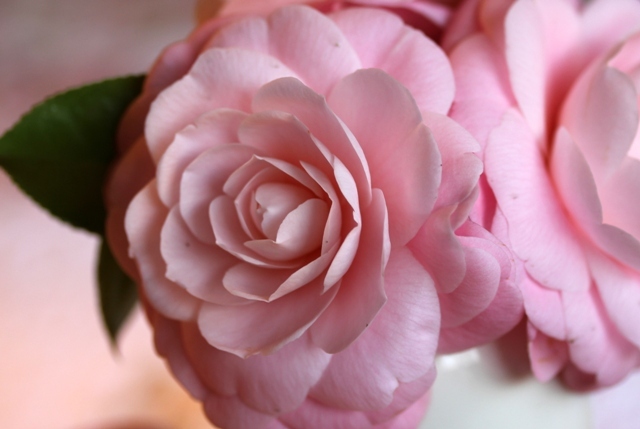 This Pink Camellia has a simple flower with a soft and tender appeal. My evening purse and gloves from long ago. Remember when gloves were so in fashion! My treasured Lenox vase I found at a yard sale. I hope you have enjoyed Celebrating Spring with Victoria. I'm sharing this post with the following parties, so please link back to their post and see amazing inspirations. Such pretty pictures! Well done - you have a good eye, they came out perferct! Betty, I'm visiting from Kathy's Celebrate Spring. Your spring pictures are so pretty and vibrant and bright. I love to see old things that are passed down, saved and collected. Very nice tribute to Spring. I love those lockets...so pretty and vintage. Very pretty mosaic. Those flowers are gorgeous! I am looking at fresh snow here in NY. 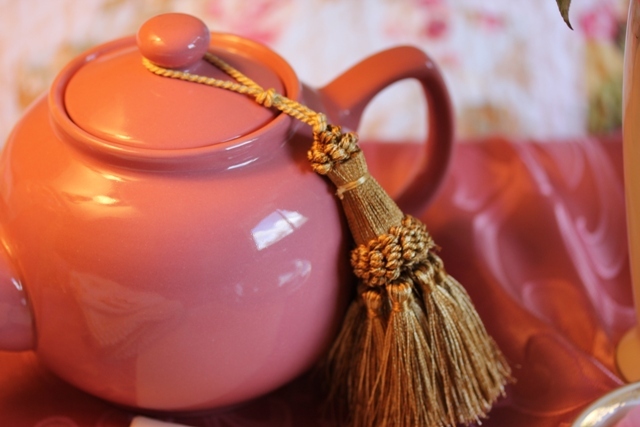 Lovely pink tea pot too! Beautiful post. I love the gold heart. 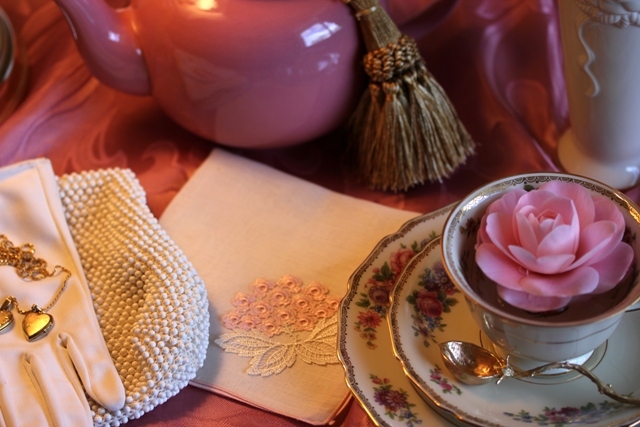 I do remember when gloves were in fashion, I actually wish they'd return--so elegante. Everything is lovely. 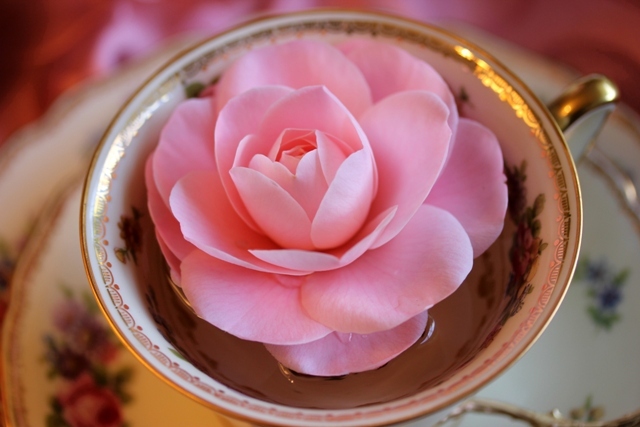 Love all of the pink and the flower is amazing. 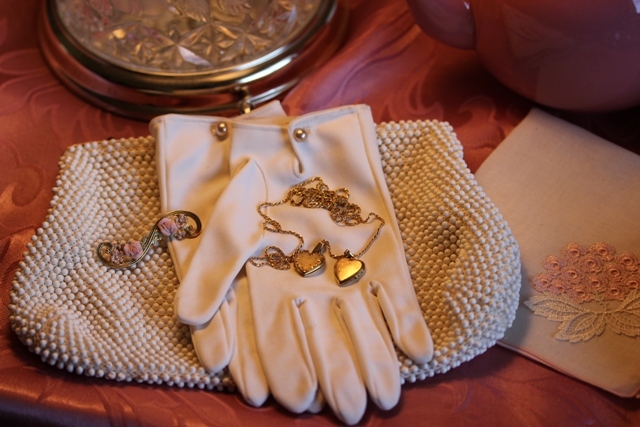 The lockets are a special treasure and look so nice with the purse and gloves. Oh my goodness, Betty, your post is just beautiful! 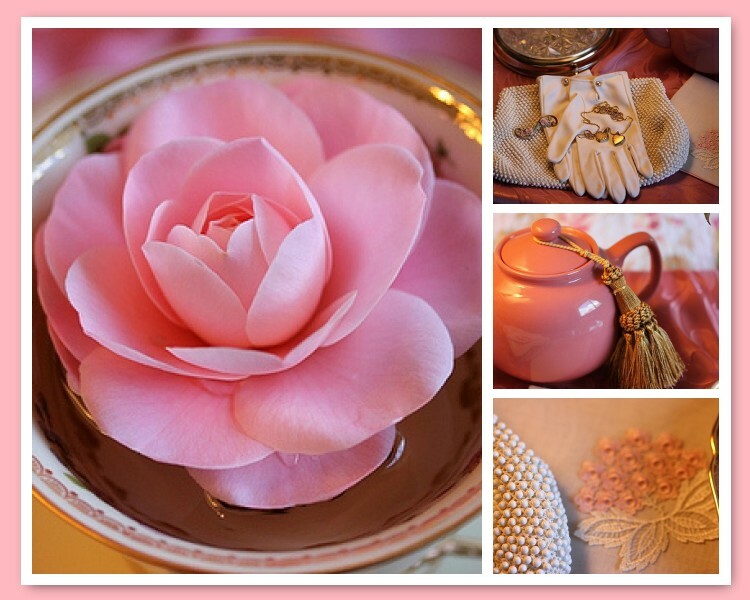 That pink camellia is the perfect shade! 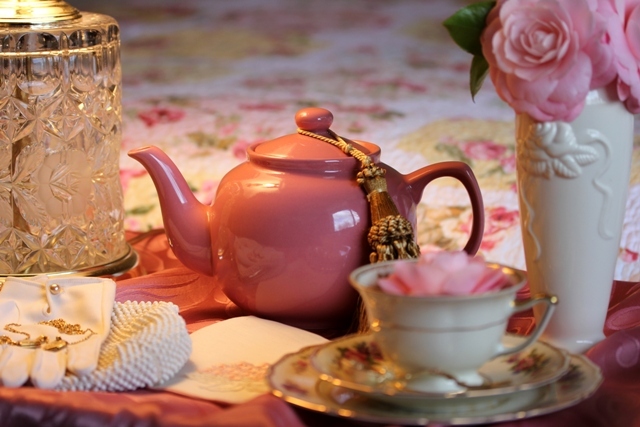 Love the pink teapot too! 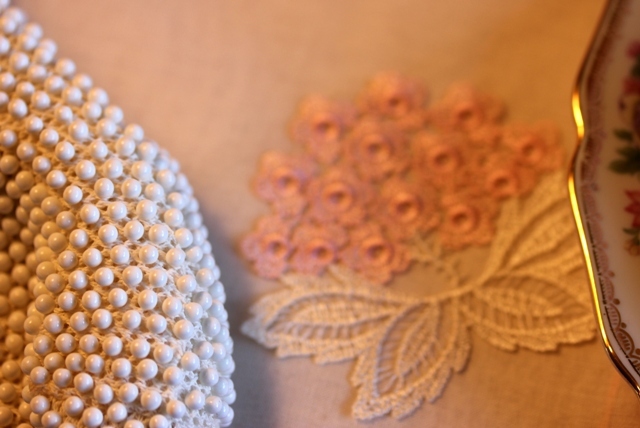 A lovely post brimming with springtime. Thanks for sharing and Happy Spring to you. Oh they are beautiful. Happy PS! Mine is up. I absolutely love your pink and gold!